Xero is simple accounting and payroll software. You can send your employees’ timesheets from Deputy straight to Xero for payroll or time-billing. MYOB gives you the tools to easily manage your invoicing, expenses, GST, inventory and payroll. Kounta provides an affordable, easy to use point of sale system with everything a hospitality business needs to grow. Delightful, modern payroll that is affordable and easy to use. All government payroll taxes and filings taken care of automatically. Vend is point-of-sale, inventory and customer loyalty software that makes it easy to set up, manage and grow your business. Sage is a leading provider of payroll systems around the world. Talech is a mobile point of sale designed to help you simplify operations and uncover insights. Talenox is a cloud-based HR software designed to manage payroll, leave, and store precious employee details from a central location. Currently available in Singapore and Hong Kong, Talenox is fully integrated with Xero’s accounting software and Quickbooks Online. Backup all Photos of Deputy into Dropbox. Also integrate non-cloud POS Sales data via CSV files saved in Dropbox. Intuit QuickBooks is world’s largest accounting platform. Integrate Deputy Employees, time billing and payroll timesheets in 1-click. Energize your business overnight with Revel iPad POS. Zapier enables you to automate tasks between Deputy and a range of other online services with an easy to use, drag-and-drop interface. SmartPayroll is an easy to use and cost-effective online payroll system for small-to-medium sized NZ businesses. NetSuite is the world’s fastest growing cloud ERP with CRM, Accounting, Finance and Payroll. Idealpos is exactly that, an ideal Point of Sale solution for your business. Perfect for those who want to roster, track time and attendance, and smoothly onboard employees. 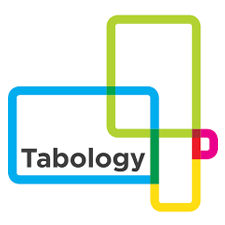 Tabology offers innovative pub and bar technology including iPad-based epos, self-serve beer systems and loyalty programmes. Paylocity is changing the way payroll and human resources professionals do their jobs – building, delivery and supporting software. 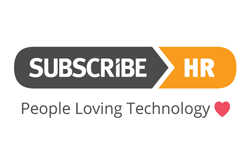 HR Cloud Software Solutions for: Recruitment, Onboarding, Core-HR, Employee Surveys, Self-Service and Performance Management. BambooHR is the leading provider of tools that power the strategic evolution of HR in small-to-medium-sized businesses. HappyHR is the performance management platform, payroll system and HR software Australia needs – all-in-one! Backup all Photos of Deputy into Box. Also integrate non-cloud POS Sales data via CSV files saved in Box. iPayroll® is the Internet Payroll Service for New Zealand that keeps your records, does your banking and pays your staff, PAYE and KiwiSaver all in one go. CloudPayroll® is the Internet Payroll Service for Australia that keeps your records, does your banking and pays your staff and Superannuation all in one go. Clover is a complete, fully secure and app-based POS and smart terminal solution designed to meet all of your business needs. An all-in-one point of sale solution. Lightspeed is the leading provider of cloud-based POS software. Our customers typically see a 20% growth in sales after their first year. Bepoz is a leading Point of Sale, trusted by over 3000+ venues across the country including some of Australia’s biggest clubs and hotels. Redcat provides a locally developed and supported, integrated, end-to-end point of sale, accounting and business management system for Cafés, Restaurants, Bars, Franchises and Multi-site venues. Wagepoint is simple, fast, and friendly payroll software, built just for small businesses and startups across North America. Wage Easy Payroll and HR is a software solution especially designed to improve accuracy, efficiency and reduce the time taken to complete cumbersome payroll tasks. OrderMate provides a great environment for your staff and an exceptional service to your customers. It is the best investment you will ever make. PayChex simplifies payroll, HR, and benefits. Founded on a belief that all businesses and entrepreneurs should be able to leverage the power of both cloud computing and modern technology to power their businesses. Okta allows people to access applications on any device at any time, while still enforcing strong security protections. Paycor provides small and medium-sized companies with intuitive, cloud-based onboarding, HR, payroll and timekeeping software. ImPOS is the most innovative and reliable Point of Sale (POS) solution designed for the hospitality industry. WhosOnLocation is a simple way to manage people (visitors, contractors, and employees) signing into and out of your sites. The next generation of practice management software. Easy to use, affordable and built to make switching simple. A cloud-based software platform that manages all of your organization’s Payroll and HR needs. Manage any field service business. Keep track of jobs and the work process. Integrate with Deputy to track of timesheets and pass onto Payroll for Award Interpretation! With AirWatch, organizations can easily deploy, configure, secure, manage and support Deputy Apps across smartphones and tablets. Keep your people connected and your service on schedule. WennSoft helps you manage all facets of a work order, keep equipment history up-to-date and provide better customer service. Comprehensive online job management solution that pushes sales & purchase invoices, tracking information and contacts into Xero. MyPAYE is a powerful, easy to use, online solution for the small to medium sized business who wants to manage their own payroll at low cost and with full support. LastPass manages all your team passwords & accounts. Log in to apps, onboard employees, and keep your team safe, all from one simple dashboard. SimplePay is cloud payroll platform for Canada making payroll simpler & less expensive. Kiosk Group offers high-quality kiosk enclosures, accessories, and branding to pull together any kiosk project, professionally and within budget. FoodStorm leads the foodservice industry with large-scale web-based software and catering support for professional to retail caterers.